Strong word of mouth propelled the Hong Kong cops and robbers thriller Cold War to a $15.2 million take last week, its second straight week atop the Chinese box office rankings. This marks the first time all year that a non-co-pro Hong Kong picture repeated in winning the box office title for two consecutive weeks. The film has grossed a solid $30.6 million after 10 days, which places it fourth among all non-Hollywood titles in the PRC in 2012. Six new films opened this past week, but none managed to capture much of an audience. 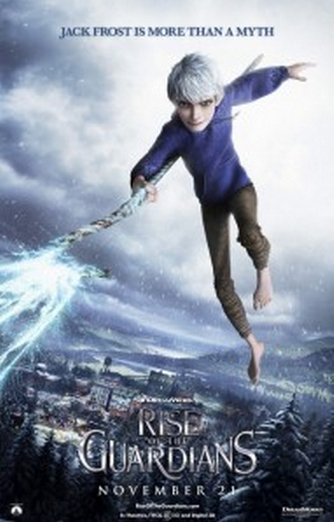 First among these new entrants was Rise of the Guardians, which became the latest non-sequel animated film to disappoint its distributors in China, drawing a modest $3.1 million gross in its 3-day debut weekend. Overall PRC box office has been sluggish of late, with the weekly cume again falling short of the total for the same frame last year, this time by an 18 percent deficit. SARFT’s blackout periods, a slowing Chinese economy, and a shortage of commercial, audience pleasing pictures have put a damper on the PRC’s box office growth since mid-summer. Cume for the year is now $2.2 billion, about 23 percent ahead of where it stood at the same time last year. The final six weeks of 2012 will almost certainly beat the $265 million total for the final six weeks of last year, which would put the year-end total above $2.5 billion, but the final tally will fall short of the expectations that had been set through the year’s first 6 months. This week: 2012 3D opened on the 20th, Life of Pi opens on the 22nd, Chinese thriller Zombies Reborn on the 23rd, and Feng Xiaogang’s Back to 1942 will launch the busy December season on November 29th. This entry was posted in Box Office Reports and tagged Back to 1942, Cold War, Feng Xiaogang, Life of Pi, Rise of the Guardians, Rob Cain, Robert Cain, Wreck-it Ralph, Zombies Reborn by chinafilmbiz. Bookmark the permalink.